Before the construction of Central Park in 1857, this area was the site of a convent and school run by the Sisters of Charity of Mount St. Vincent, constructed in 1848. Today, this area is the site of the Conservancy's composting operation. In 1848, the Sisters of Charity purchased the site to create a religious community. When the property was acquired in 1858 to build Central Park, the Sisters moved to the Bronx, where the college still thrives today. In the years following, the buildings were used as offices for park commissioners and as military hospitals during the Civil War. Eventually, a tavern returned to the site, operating until its closure and demolition in 1917. 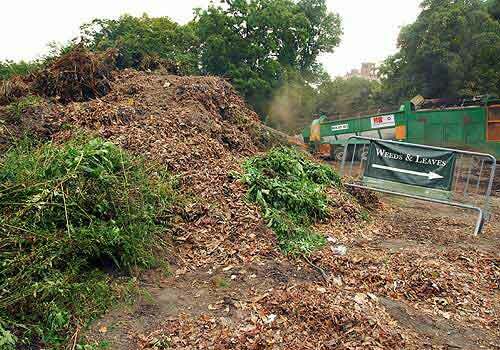 Today, the Mount has found new life as Central Park Conservancy's compositing site. The rich compost is recycled and returned to the Park's landscapes, used year-round in all of the Conservancy's planting and horticultural projects. East Side between 104th - 105th Streets.